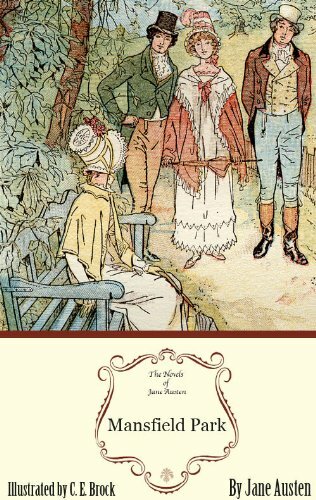 If you have been reading my blog or trip reports for any length of time, you may have picked up on the fact that I absolutely adore the novels of Jane Austen. I refuse to be ashamed of it, and I admit it without disguise. Sometimes, when I (re)read an Austen book, I wonder why I ever bother to read anything else, because Jane is just. so. good. During study halls in high school, around campus at college, during breaks when I worked at Disney - I would quietly read Persuasion or Northanger Abbey and be transported away from all vexation, all weariness and loneliness. Through those pages I arrive in a world full of old friends, full of excellent ideas and interesting situations. And always, no matter how many times I've read over Jane's passages, there manages yet to be hidden in those books some new brilliant quote that I never even noticed before. That's the incredible thing about Jane Austen - her brilliance is so subtle and so lightly drawn that it's very easy to miss. Some great authors write with so much pomp and parade, and their voice can be heard so loudly throughout their stories In some flowery sentence or grandiloquent metaphor, I can practically hear the author saying, "Look! See how clever I am! See this stroke of genius!" Jane never intrudes in her writing in that way, yet she's always present. It's like having a friend in the room - just a raised eyebrow or a smile and you share each other's thoughts. When Mrs. Bennet is preening or Lady Catherine de Bourgh is being insolent, I can practically see Jane rolling her eyes in sympathy, right through the words on the page. Now I know there are those who don't like Jane Austen out in the world, and they may say that's all my imagination; but then I'm not writing this update for them. No - this update is for the fellow Jane Austen lovers who I know are out there. You see, I recently finished rereading Mansfield Park, and I thought it would be fun to share some thoughts about it and - hopefully! - hear some from you guys too in the comments! Mansfield Park is one of the rather lesser-appreciated novels, but it's certainly right up there with P&P in terms of quality. If you haven't read it yet, I would highly recommend adding it to your list! Here's the thing that I think keeps people from embracing MP: the heroine, Fanny Price. She is very docile and submissive, and the present day conception of a "modern woman" doesn't gel too well with that. In recent movie adaptations of Mansfield, the directors have warped Fanny into a much bolder character, very different from who she is in the book. And yet, what's wrong with being gentle and quiet? "Let other pens dwell on guilt and misery. I quit such odious subjects as soon as I can, impatient to restore everybody, not greatly in fault themselves, to tolerable comfort, and to have done with all the rest. My Fanny, indeed, at this very time, I have the satisfaction of knowing, must have been happy in spite of everything..."
In Mansfield's plot line, to give you a quick summary, things don't seem to go too well for Fanny at first. The man she loves, Edmund, is in love with Mary Crawford (who turns out to be a jerk - Fanny knew it all along of course); and Mary's brother Henry Crawford, who is rich and charming but also a big jerk, falls in love with Fanny. Everybody wants Fanny to marry Henry, but she won't because she's in love with Edmund and she is convinced that Henry is a bad dude. Yet, for Fanny's sake, we see that Mr. Crawford does seem to sincerely want to be better. And the scenes where he's trying to woo her are so incredibly sweet and romantic. Now you don't really want Mr. Crawford to prevail because you know he's a bad egg...but somehow - he's so charming - part of you seems to be secretly rooting for him. At one point he asks Fanny for advice saying, "When you give me your opinion, I always know what is right. Your judgment is my rule of right." Fanny replies with one of my favorite quotes from Austen: "Oh no! Do not say so. We all have a better guide in ourselves, if we would attend to it, than any other person can be." Of course Fanny is absolutely right, but you can't help liking Crawford for how highly he respects her. And I think Jane knows that. She almost seems to dangle Crawford in front of her readers' noses, and she even admits in the wrap-up at the end of the book, that if things had worked out differently, Fanny would have married him instead of Edmund. You don't normally see this sort of speculation at the end of an Austen novel, and it's one of those instances where I can see the twinkle in Jane's eye as she laughs at all of us. She knows that we all were charmed by Mr. Crawford, but in the end, she gave "her Fanny" exactly the hero that Fanny wanted - which, of course, is a delightful ending as well as the right one. I'll save my other Mansfield musings for another day...when I'm talking about Jane I sometimes find it hard to stop! And yes, I'm calling an author who lived 200 years ago and whom I never knew by her first name as though she were my close friend. Because, in some way, she is. 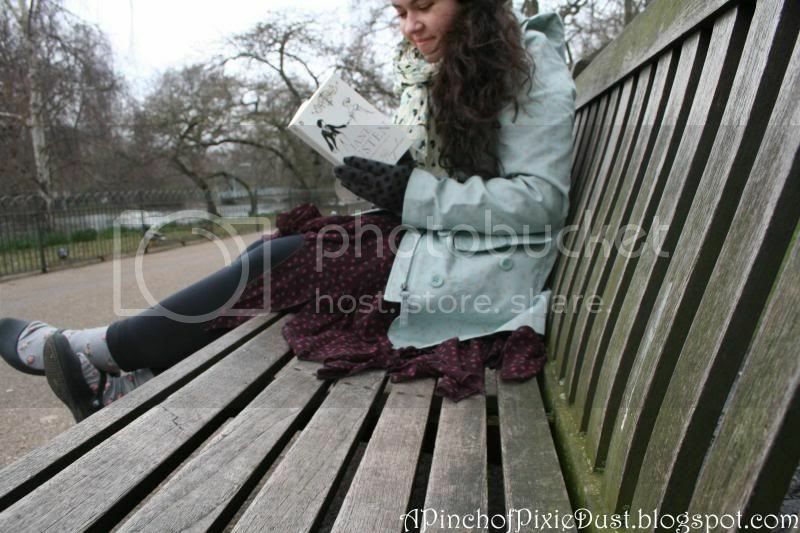 I love Mansfield Park, and I love Fanny. I think Jane Austen liked to have all different kinds of heroines, and it would be boring if every protagonist was Lizzie Bennet. Besides, having a quiet and gentle character gives Austen the opportunity to show observations like the ones you mentioned. I am a shameless Austen devotee!